I have hosted many of these over the years and it occurred to me last night that there may be someone who doesn’t know how to do this so here’s how I do it – in case it might inspire someone else to host a God Gathering of their own! Make sure you are hosting the God Gathering for the right reasons. The Holy Spirit is usually the one who initiates the invitation by putting it on my heart to host one. You do not want to do this just because you feel like it – it won’t work. I had a friend call me one time and ask me to host one for her. I had a feeling she was motivated by emotion more than by the Spirit because she seemed upset and hosting the meeting was a reaction to her emotional turmoil. She contacted a bunch of people and twelve of them said they would come. I prepared for it, but I had this sense that this was an empty endeavor. Sure enough, the day for the meeting arrived and she was the only one who showed up. We sat together, quietly talking. When it became obvious that no one else was coming (not even other spiritual leaders, pastors, etc. that had promised to come), I told her I had a sense that it just wasn’t the right time. She agreed and went home. This was a clear object lesson for me – don’t be tempted to do this on your own. Wait for His timing. Prepare the environment. I usually do this by cleaning the room where we will be meeting and playing some soaking music softly in the background. I often do this a few days before and just let the music keep playing. My brother used to tell me he could tell the angels liked it when he left the soaking music on. I’m not aware of that but it does help your mind to focus on the Lord every time you hear the music. Some suggestions for soaking music are here. Send out an invitation and make sure people are clear on why you are hosting this meeting. You want to make sure that the people who are coming are sincerely wanting to connect with the Lord. This is not just a social gathering. If parents ask, I don’t usually include young children because it’s hard for them to sit still (though I have seen some children who really like these kinds of meetings, but it is rare). You want an environment with no distractions. Prepare the spiritual environment. Once the people have gathered and greeted each other, I turn down the lighting to signal that it’s time to begin. Then I pray some specific prayers to prepare the spiritual environment and our hearts for an encounter with Jesus. Invite the Holy Spirit to come. Yes, the Lord is already there, but there’s something about this step that prepares YOU to hear from Him. For example, “Holy Spirit, we invite You to come. You are welcome in this place. Please increase our awareness of Your presence.” There’s a difference between the omnipresence of God and the tangible manifest presence of God. We are seeking His manifest presence. Invite Wisdom and Revelation. For example, “Wisdom and Revelation, come. We welcome you. We invite you to speak to us and show us God’s glory and goodness.” I don’t know how this works, but I know that when I do this it shifts the atmosphere. Some say these are specific angels that are released to minister – others say these are aspects of the Spirit of the Lord. Either way, you are welcoming them to reveal the Lord’s goodness and glory. I don’t have to understand it for it to work (like electricity, right?). Childlike faith is simple and powerful. Wait expectantly. At this point, I often turn the music up just a little bit so we can hear it and drown out any other sounds. It helps us to focus without distraction. Often the presence of the Lord has been building with each prayer of invitation spoken so now we just enjoy Him. I often find a smile bursting on my face because He’s HERE in such a tangible way – I am so happy to be with Him. Sometimes I whisper my love and worship to Him – trying not to distract anyone, but at the same time honoring who He is to me. Others may also whisper their love and worship. 🙂 Some people sit, some lay down on the floor, some kneel – each one is free to do whatever feels comfortable for them. (I have tile floors so when I host these, I often put big cushions on the floor and some fluffy throw rugs for people to lay on, if they want to.) Sometimes people pace at the end of the room – that’s okay too. It’s important for each person to be free to be themselves. I also make sure there is paper and pens on the coffee tables in case anyone needs to write what the Lord is saying to them, especially if they wish to give it to someone else. Receive from His presence. Just being together in God’s presence is incredibly refreshing and healing. We often just sit quietly and soak up His presence. No one is moving or talking – just being together. Letting God be God. Ask people to share. After a time of waiting on God, I will often feel prompted to lower the music a little bit and then I ask, “Would anyone like to share what the Lord is showing them?” One by one people share what the Lord shared with them – it could be a Scripture verse, a new insight into His goodness and care, a word, a song or a vision. Scripture says, “When you gather for worship, each one of you be prepared with something that will be useful for all: Sing a hymn, teach a lesson, tell a story, lead a prayer, provide an insight. Take your turn, no one person taking over. Then each speaker gets a chance to say something special from God, and you all learn from each other.” I Corinthians 14 The Message. Respond to each thing that is shared. This is really important and some people miss this. Pay attention to what the Lord is saying through each person who shares. Acknowledge what has been shared (thank the person) and then ask the Lord if there’s anything that needs to be done. I am often doing this internally while the person shares, asking the Lord to direct us. Sometimes it is obvious – perhaps something the person shares relates to a current event that needs to be prayed for. Ask that person to lead in prayer, others can join in after they pray. Usually the person who gets the insight or revelation has the authority to pray it out. If someone gets a word of knowledge or word of wisdom for an individual in the meeting, they should offer to minister to that person. Maybe they need prayer – but don’t force it. Ask them first. Sometimes it is not obvious right away what the Lord is saying but after 2-3 people share, you might see a theme emerging that guides you. Ask the Holy Spirit – in fact, I often just stop everything and say out loud, “Holy Spirit, what do You want us to do with this?” and we all just wait. If you don’t hear or sense anything, then just move to the next person who wants to share. I have not encountered too many church meetings that follow this format. But every time I follow it, the Lord comes powerfully and everyone leaves very happy, refreshed and blessed. I wonder if you could do this virtually. Could you have an online God Gathering using video chat? What do you think? Would it work? Is there anything you do that helps you and your friends connect with God? Please feel free to share it. I love new ideas! At 1:30am, I awoke to the voice of God. It surprised me. I wasn’t expecting it – I had been deeply asleep. How do I know it was God? It came out of nowhere. I didn’t initiate this. It was full of compassion and love. It was a complete thought instantly – an immediate download of information that came with such sudden depth of understanding that I did not have before it came. It was instant insight that took me 9 paragraphs to record in my journal. What did it “sound” like? Like my own voice in my thoughts. But I knew it wasn’t MY thoughts for several reasons. I couldn’t have made this up. This was entirely new insight that I didn’t have before. I was asleep and was awakened just as it started. That’s not normally the way my mind works. It takes me awhile to wake up and start thinking clearly. It was full of love and compassion. It started with, “It’s not what you think it is …” Why would I say that if it was my own thoughts? I write this as an example for those who are unfamiliar with hearing from God. There are times like this where you KNOW it’s God. It’s not always this clear. And that list of how I know it was God is not a checklist – it doesn’t always happen that way. What IS pretty consistent is the waterfall of new insight – to me that’s a clear indication that I’m hearing from God. You can’t make this stuff up. And if the insight is connected with selfless love and compassion, you can’t go wrong. Some people tell me they are hearing from God, but I wonder about that when it’s not leading them toward Love. Have you ever contemplated the feminine side of God? I have often heard of the “Father heart of God”. There are many Bible verses that refer to God being a Father, especially the words of Jesus in the book of John. But not many direct references to God’s Mother heart. I’ve never heard anyone teach on this, have you? But it is obviously part of God’s nature. 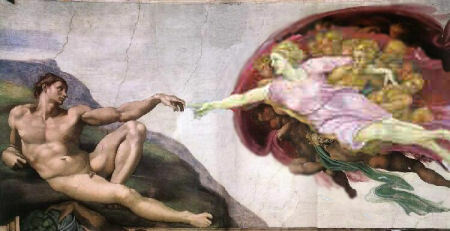 We see the image of God reflected in both genders – male and female. So who is the Mother heart of God? What is the “Holy She” like? A hen is a female chicken and gathering chicks is definitely a motherly thing to do. In the Old Testament scriptures, the word for the Holy Spirit is Ruach. 90% of the times this word is used in scripture, it is used in the feminine form. Did the Old Testament writers have an intuitive sense of God’s Mother nature that we have somehow lost in modern times? The most common symbol for the Holy Spirit is a dove. A dove is a feminine symbol. (I don’t know too many men who would choose the dove as the symbol of their masculinity!) A dove is gentle. 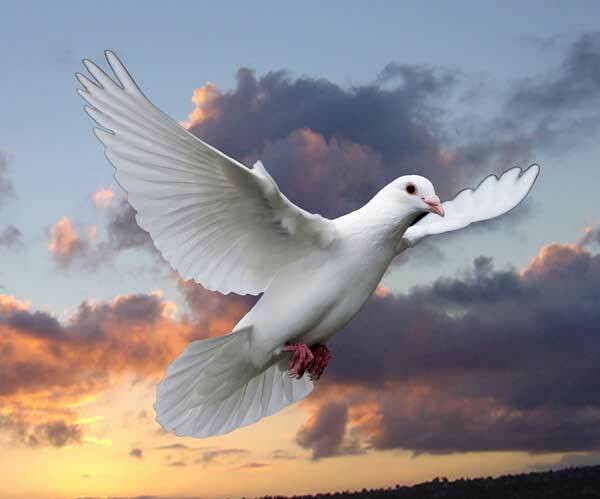 King Solomon refered to his beloved in the Song of Solomon as a dove (SS 2:4). The Holy Spirit was seen descending on Jesus as a dove (Matt 3:16). The Holy Spirit is described as a helper, a teacher, someone who guides us into all truth and one who comforts us. Those are all descriptions of the typical job of a mother with her young. She also teaches them right from wrong – as the Holy Spirit does when convicting the world of sin, righteousness and judgement (John 14 & 16). I recently had an encounter with this Holy She. It blew my mind. I had never really thought about the Mother Heart of God. But SHE wanted me to know Her. And I am so glad She came to me and showed me Her heart for me. It was very deep and very personal. It healed my heart in places I’d never been able to discover before. I knew something was missing. I knew my heart felt heavy. But I had no idea what was missing. I didn’t know I needed a revelation of the Mother Heart of God. So I’m posting this in hopes that if anyone else has this experience and doesn’t know how to fit it into their spiritual understanding, perhaps my testimony will light their way. It is NOT sacrilegious to recognize God’s feminine side (though I’m sure there are male ministers who would be offended or befuddled by referring to God as She). God is recognized as the Giver of Life. On the earth, that is the job of women – they are the ones who bring forth new life from their wombs. So it could be that when God revealed Him/Herself to Abraham, He/She said, “You will become a great nation (i.e. you will have a lot of children & grandchildren) and I will be the Powerful Breasted-One who will supply all your needs.” Kind of makes sense – the feminine side of God proclaiming a promise of many children and grandchildren and presenting the image of a breast that will nourish and sustain the children who are coming. What do you think? Have you experienced this Holy She? I think many people long for a sympathetic Mother who will comfort them. Someone who will heal their hearts with Her Love and guide them in the way they should go. I know I certainly need that. Don’t you?